Create & Share ..... independently!!! Today during reading, Deborah and Nature read a story displayed in the classroom which we created as a class a few weeks ago. They videoed each other to share their learning with Ms George, Mrs Belt & the rest of the class - all independently! Amazing effort girls - we love that you are so keen to share and are so confident with using the iPads to create and share! Today Ilaisaane told her teacher she wanted to work on counting to 5 and recording it! 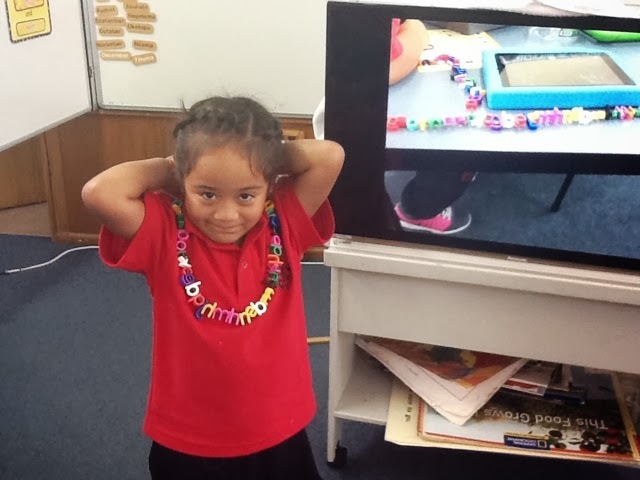 Good on you Ilaisaane for being so confident and wanting to share your learning too! Ilaisane to 5 from Team 1 PES on Vimeo. Today Rae Jae was working on putting the numbers 1 to 5 in the correct order using his iPad. He was able to independently record his learning to share. Today we designed a story around a picture from last years picnic. Ideas and words were gifted to the children and a basic story developed. As we sung the children added in more bits and pieces to make their story more interesting. Listen to this wonderful story from the beautiful children in Class 20. Picnic Time from Team 1 PES on Vimeo. Today our iPads arrived so all the children now have their own 'named' device. We went on to the field to see if we could follow some very precise photographic directions and then talk about what, why and where we took our photos. One direction was 'find something red on the field and take a clever picture.' Check out this 'lost hat' and the ten little toes below it! Great shot Nature. 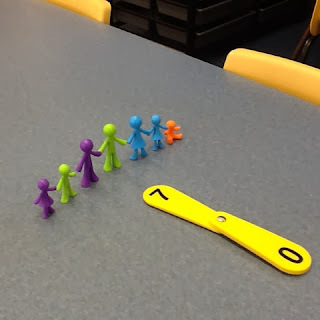 Your photo is balanced, creative and you followed the instructions! 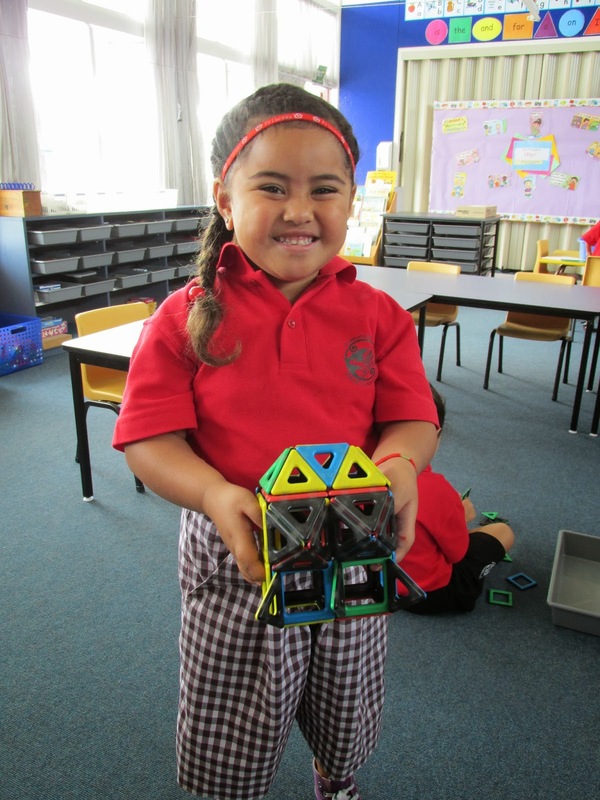 Today for maths we built houses and put some people inside our houses. Then we told our friends how many people were inside our house. After seeing the horses in the paddock next to the field, Class 20 wrote a story. "I can see a hungry brown horse wearing a sun coat, eating the grass, in the green paddock." I made a necklace using lots of alphabet letters. I asked to take a photo so I could share it with mum and dad. Can you see the photo I took of my work on the TV? After I read my book and completed my activity I took a photo of my work and shared it using 'Airplay' on our Apple TV. 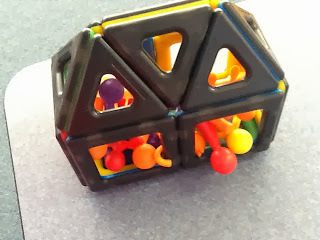 I made a polydron house for my family for maths today. I took a photo making sure I could see the house and all the people...even the cats tail! 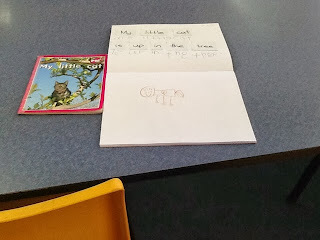 Today Class 20 talked about our great weekends and we wrote stories about what we did. Some students used the iPads to record their stories. Casshius chose number 2 and counted out two beans so he could show his friends what two things looked like. Good work Casshius! Let's try doing number 3 next time! We are using our iPads to take photos and share our learning. 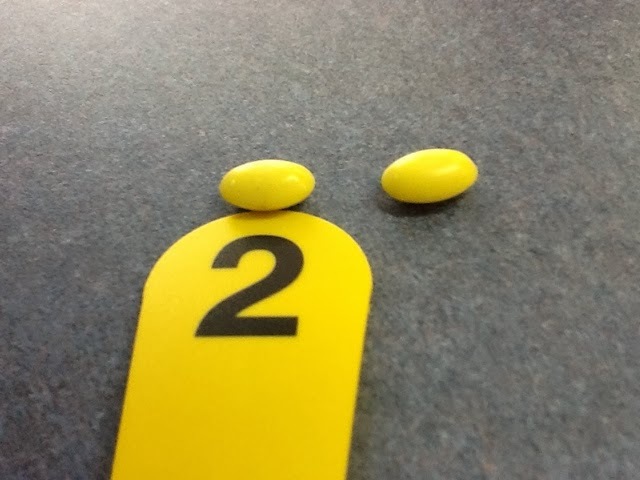 Nature chose the number 7 and lined up seven of the people. In her first photo we could not see the number on the number fan. Nature thought about this and took the photo again so she could show the class the number she had chosen! Great learning and sharing Nature! Class 20 wrote a story about a big yellow bulldozer that we saw in our playground. We practised our story by singing it and making actions to help us. We hope you enjoy our story! I made a rocket house today. It's going to go to the moon. Ms George thought it might be going to my magenta coloured star! There's nothing better than sitting under the tree sharing photos of our friends and, of course, the neighbours horse! Look at me...I made some binoculars on my first day at school!